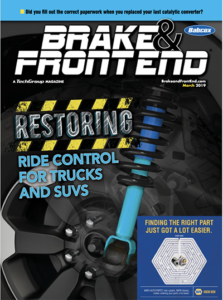 To apply for a FREE subscription to Brake & Front End magazine, please respond to the questions on the form below. All fields marked with an asterisk (*) are required. If you are outside of the United States and/or have questions about your subscription, please contact customer service at (330) 670-1234 x242. Please note the magazine’s publisher determines qualification and reserves the right to limit the number of free subscriptions distributed. If you qualify for a paid subscription, you will be contacted for billing details. Would anyone in your shop like to receive, Servicio Automotriz, a Spanish language automotive repair magazine free of charge? Would you like to receive Shop Owner magazine as part of your subscription? 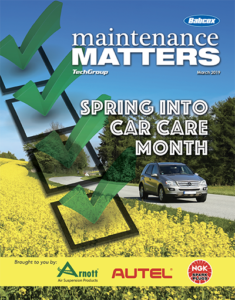 Would you like to receive the Brake & Front End eNewsletter? I would like to receive information about my account by email. I would like to receive third-party business related information and offers by e-mail.